Winter is fast approaching and it certainly feels like it at the moment. Our skin often bears the brunt of the cold weather, becoming dry and cracked. Exfoliation is a big part of Ayurveda’s deep-cleansing philosophy and daily exfoliation can stimulate the skin, eliminate toxins and remove dead cells. We all have different skin types, which makes it harder to find products that work for everyone. Vata skin types are dry, Kap ..
Summer heat can bring its own problems for your skin including sunburn, sun tan, itchiness, irritation and rashes. Sweaty skin, thanks to our high humidity, cloaks our pores with grime and dirt but fear not, Ayurveda can help keep your skin healthy and glowing over the next few months. 1. Tone your skin with our rose and basil toner (http://nz.ayurda.com/Toners) twice a day. Spray over your face then use a cotton pad to gently ..
During spring the Kapha dosha tends to escalate in most people's physiologies, giving rise to Kapha related skin problems such as: · excessive oiliness · breakouts · lack of clarity. 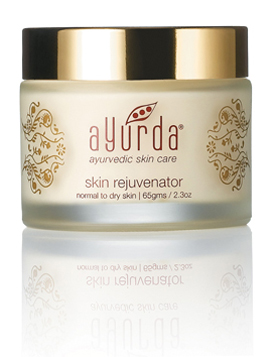 Spring skin care is focused on detox and rejuvenation when deep cleansing, exfoliation and gentle nourishment to prepare your skin for the hotter months to follow while keeping your skin loo ..
Ayurda’s skin care is formulated with natural yet powerful ingredients that penetrate and work on the skin from the inside out. They work on the skin on a cellular level unbiased of gender or age and while previous products your man has used may have seemed heavy or thick in order to penetrate male skin they don’t need to be. To answer one of the frequently asked questions we are asked, “is Ayurda skin care suitable for men ..
Cooler temperatures and dry cold winds can rob your skin of precious moisture. In ayurveda, autumn and winter are equated with Vata dosha, with its dry, rough and cool qualities. Dryness, cracking, dullness and roughness of the skin are common in cold, dry, windy weather. It is important, therefore, to balance your skin with a good nourishing cream to keep it looking young, lustrous and beautiful all year long. Before you reach for that ..
Ah winter! Time for dry skin, itching and let’s not forget the infamous chapped lips. The cold weather and freezing rain almost certainly takes a toll on your skin and to counter that according to Ayurveda, winter is the ideal time to feed your skin the potent nutrients it needs to stay youthful and healthy. Beauty begins with common sense. It can be as simple as eating right, getting your beauty sleep, managing stress and followi ..
Admiring those glowing faces in beauty cream advertisements, do you wonder how you too can achieve radiant, glowing skin? There are a lot of products like illuminators that can give us that dewy look but you can also get a gorgeous glow naturally with these simple exercises for glowing skin. And the good news is: no chemicals and no pricey beauty packages. Daily Skin Care Regime According to the wisdom of Ayurveda, true beauty is what na ..
We’ve talked about celebrating those you love this Valentine’s Day, often thought to be a day for lovers. We don’t want you to forget the most important Valentine of all, you! 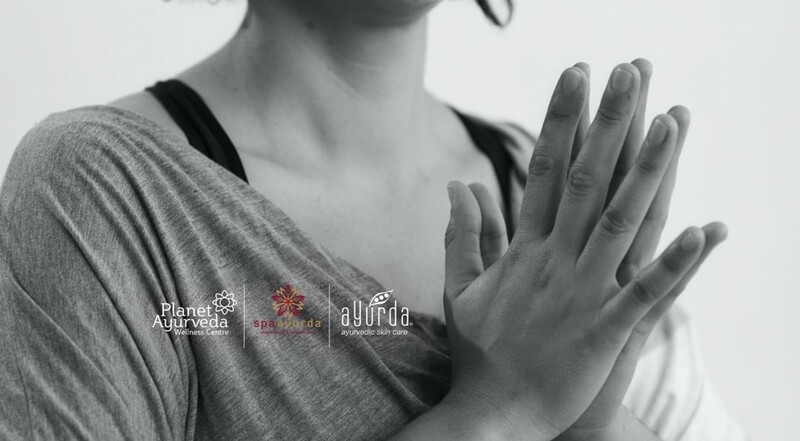 A healthy relationship begins with the love you give yourself, Ayurveda returns us to pure love through simple, yet highly effective, lifestyle practices that nourish the body, mind and soul. Give yourself the gift of vibrancy, joy and health by embr .. Here are some suggestions to keep your skin looking beautiful all summer long: Sip lots of water throughout the day, not only to replenish moisture lost to the heat and sweat but also to help flush toxins out of the body and keep skin looking clear and lustrous. Keep your water at room temperature, warm is better. Cold and iced water literally douse the digestive fire. Eat Pitta-balancing fruits, vegetables and herbs, which suppl ..
How to exercise for your dosha In the Ayurvedic view, exercise is meant to leave you feeling invigorated, happy, and ready for the day’s activities, not exhausted or in need of painkillers. In short, listen to what your body is telling you. Just as you should stop eating when your body tells you it’s had enough, take the same approach with your exercise regime. 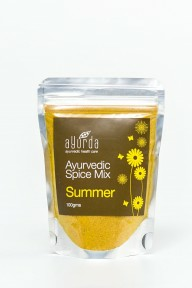 More than 5,000 years ago, the master Ayurvedic physician Ch ..